There are several ways you can share your story with a teacher. 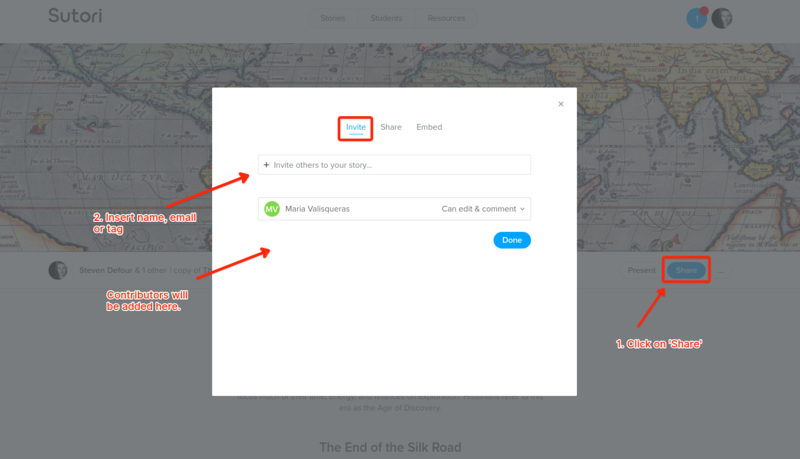 Start by opening up your story and clicking on &apos;Share&apos; under the banner to the right. 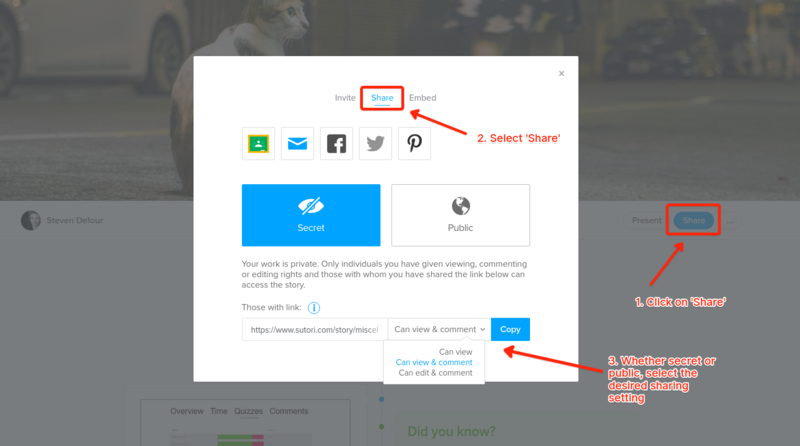 Please note that if you have added a teacher to your account, she/he can already access your work and add comments to it. 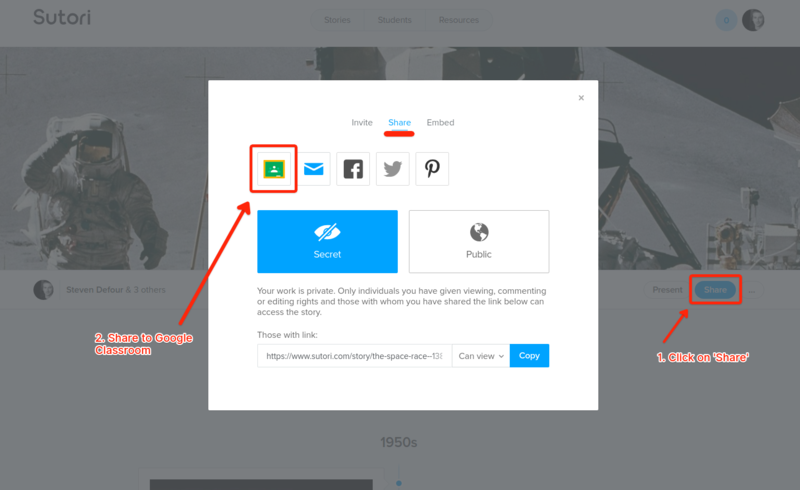 If you are under 13, you cannot make your work public and therefore share your work on social media or embed into another website.